I wish I was coming to you with stellar or at least halfway decent news, but today, unfortunately, that’s not the case. I’m sick and in a bad mood, so you can only imagine how this is going to pan out. Today’s review is of none other than Snapfuck. I actually came across the site messing around online. Not sure how I even landed on it but when I did, I was happy for about 30 seconds. I thought to myself, “Awesome, I found one that’s legit!” Well, that was a huge letdown, to say the least. Eventually, I came to my senses and say this site for what it was worth, diddly squat. Here’s my full review of the site and everything that unfolded during my investigation. If you’ve ever watched a movie through the end of the credits, then you’ve seen the exact language that Snapfuck is using in their terms of service. I’m talking about that language that reads well enough to let you know that everything about it is totally fake. 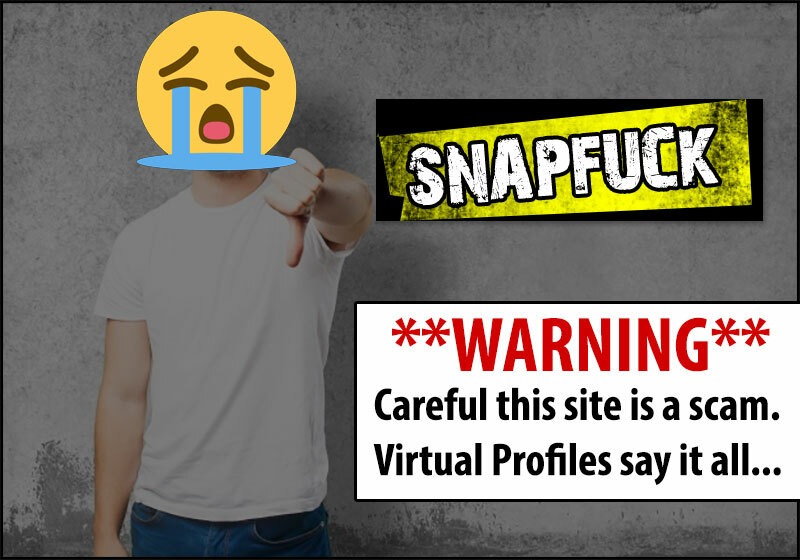 The owners and operators of Snapfuck.co blatantly admit that they use what is commonly known as “Virtual Profiles.” They use them to help contact new members who have recently registered. The website even goes so far as to label them for you with a “VP” symbol. Actually, they don’t do this for you, but for their legal benefit. The real giveaway as to how they view themselves in the hookup world is how they describe them to you. They clearly state that no profile is meant to resemble any real person, living or dead. They go on to state that any similarity is purely coincidental, just like at the end of your favorite movies. Honestly, that should be more than enough reason for you to turn around and leave as fast as you possibly can before you get yourself involved. It’s a blatant scam that goes out of its way to tell you how much of a scam it is. By claiming to be selling you an entertainment experience, they’re indemnifying themselves in the eyes of the law. They’re giving themselves free rein to do whatever they want, in order to trick you into thinking that paying for Snapfuck is a good idea. That’s just the start of peeling back the onion though. It gets much worse! When you’re joining a website and they have you fill out some fake questionnaire, that obviously means that things are fishy to say the least. It doesn’t matter that you’re being contacted by fake bots and are required to pay for an upgrade before you can read the messages they’re sending because it’s all part of the entertainment. You’re not signing up for a hookup site to bang. Nope, instead, you’re signing up to be sold the idea of a hookup site. Moreover, you’re signing up to buy into the idea that you actually have a chance of meeting up with someone. That’s where the entertainment comes in. The owners of Snapfuck are more than aware that you’re never going to be getting anywhere with anyone on their service because it’s one big lie. Just like a movie is fake entertainment, so is this crappy website. I’d also like to add that the website tries to get you to join other dating sites. They do this by sending you to other websites when you least expect it. Again, it’s a typical scam that you absolutely must avoid at all costs. There’s no reason for anyone to ever try out Snapfuck. It has nothing to offer anyone who wants something real. They tell you upfront that they’re not selling what you think they’re selling and that’s perfectly okay. If you open up your wallet, you’re doing it to buy a fantasy, not a real-world platform for meeting people with similar interests. No matter how much time and effort you put into Snapfuck, you’re going to be walking away empty handed. There are simply no real people around to talk to at all. It’s all just one big cash grab at your expense. Now, if you’re looking to actually bang someone, then I’m going to suggest you check out this website here. It’s my absolute favorite dating network and it works like a charm. There are far more bad dating sites than they are good. 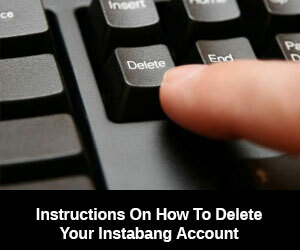 If you’re looking to avoid the horrible ones, then I’d say the Instafuck, MeetBang, and JustBang are the three others you want to avoid at all costs!